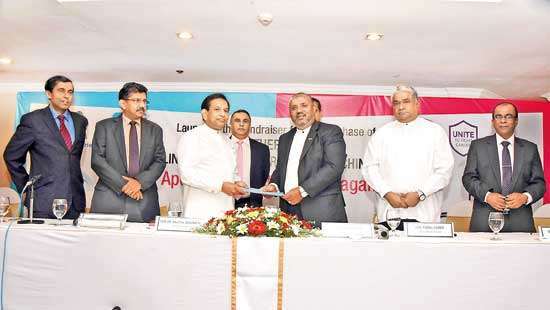 Sri Lanka had an opportunity to become the best place for an International Arbitration Centre in the region, where commercial disputes between Companies or individuals in different States are resolved effectively by providing a reliable legal platform as an alternative disputes resolution. We could have easily capitalised our geographical location to setup an Independent Arbitration Centre meeting international standards. It could have attracted local and foreign investors, traders and businessmen to utilise the Arbitration Centre and visit Sri Lanka when they have commercial disputes that need to be resolved. While we failed, Singapore and Malaysia grabbed this opportunity with both hands and setup Arbitration Centres known as Singapore International Arbitration Centre (SIAC) and Asian International Arbitration Centre (AIAC) with great effectiveness. For the moment, Singapore is growing rapidly to become the leader in Arbitration. Sri Lanka on the other hand, is still struggling even to make important amendments to several outdated sections of the Arbitration Act (1996), which regulates local commercial disputes. It was a wasted opportunity that could have been used to boost up our economy in various dimensions in a novel way. “Innovation is the engine of future economy”, although it is unlikely to be welcomed at the execution level of policy planning of this island. According to the Central Bank of Sri Lanka, we had a debt burden of Rs. 10.269 trillion by the end of 2017. 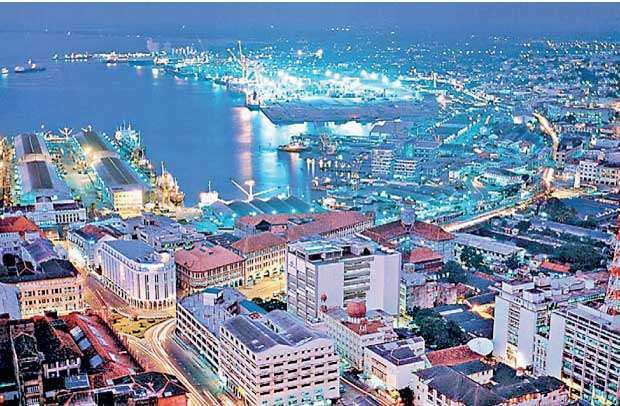 Even though the question of how we face this challenge is somewhat confusing and complex; policy makers have no choice other than to discover proper plans for future economic situations in order to enable the Sri Lankan economy achieve at least some comfort. Socialists might have a different view on the matter. They may contemplate a whole systematic transformation of the economy, which is perceivable, but it might not be pragmatic from the context of a contemporary world. The necessity for setting up a platform, allowing the think-tanks of this island or elsewhere to discover solutions to this conundrum is therefore critically important. Such an interesting idea was shared during the recently concluded ‘Lawbiz Symposium’ organised by the Colombo Law Society. 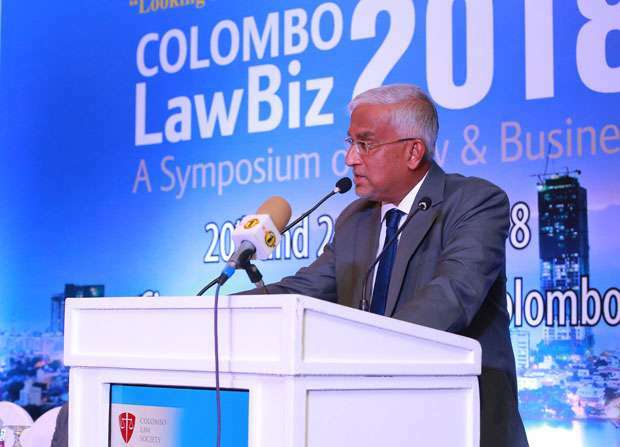 Supreme Court Justice and President’s Counsel Prasanna Jayawardena, who delivered the keynote address at the ‘Lawbiz Symposium’, is regarded as an expert in the field of commercial litigation before he was appointed to the Supreme Court of Sri Lanka as a judge. Many might think that the application of the laws in a society would directly impact its economy. Great care must be taken in grasping such a statement. Following is the crux of Jayawardena’s speech. He considers Sri Lanka as an emerging market economy. At the onset, Justice Jayawardena elaborated on what an emerging market economy is and how Sri Lanka could be regarded as an emerging economy despite the size of its economy, in which the Gross Domestic Production (GDP) is only around US $ 87.2 billion. The term ‘emerging economy’ is actually used to describe countries, which have effective banking systems, liquid equity markets, regulatory mechanisms, unified and coverable currency and other components of a developed economy, but have not yet achieved the debt of security, reliability, stability efficiency and strength. 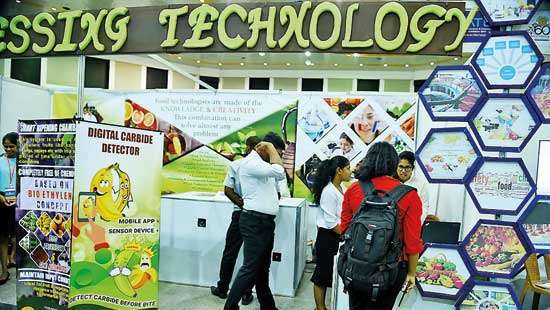 “We have a very reliable banking system with advanced telecommunication and technology facilities, intelligence, literate and tech savvy work force, small, but effective liquid equity market, improving regulatory mechanism and also Sri Lanka’s immense potential to be a regional hub thanks to our unique geographical location, as firstly the centre of the Indian ocean, secondly as a ceiling to the east west trade and thirdly as the gateway to South-Asia,” he said. Justice Jayawardena’s observation is that with these factors we should still be regarded as an emerging economy despite the nation being small in size. “Establishing an effective and reliable system of commercial litigation is an important factor in enabling the Sri Lankan economy achieve higher income category” said Justice Jayawardena. The questions arise as to what exactly commercial litigation means, why it is so much important and whether the current system is adequate? Justice Jayawardena elaborated that a system of Commercial Litigation is meant as litigation arising out of disputes between parties in contractual terms, disputes over rights in companies, disputes over intellectual property rights, disputes over banking transactions, and various sort of disputes arise in the field of commerce and business. He said especially the court process and applications of laws in resolving those disputes are regarded as litigation. What rights are at stake when there is commercial litigation? “Identifying those rights is necessary for us to accurately assess the importance of establishing an effective and reliable system of commercial litigation” cautiously said he. The rights at stake in most commercial litigation are private property rights. As it was needless to say that private property rights are critically important to investors and entrepreneurs who are contemplating investing in Sri Lanka, Justice Jayawardena was of the view that such investors and entrepreneurs will do investing only if they have the confidence that their private property rights, investments and trading means will be safe and secure in Sri Lanka. 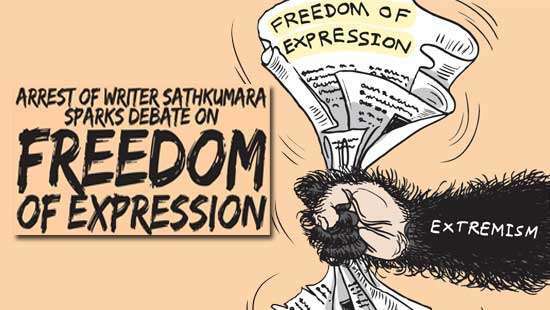 He underscored that investors should be given the ability to quickly and reliably secure their rights under the law in Sri Lanka in the event their property rights and investments in Sri Lanka are disputed or threatened or taken away. According to CBSL, total Government debt in 2017 is about Rs. 10.313 trillion which is an increase of Rs. 9.9 trillion from 2016. Justice Jayawardena said that the total Government debt at end of 2017 -- 77.6% of the GDP, is an improvement from ratio of 78.8% from the end of 2016. “As we can see these worrying statics show the need to attract more investments to the economy and therefore the need to attract more foreign investments. It is critically important to have effective and reliable commercial litigation system for Sri Lanka to attract more investments and trade”. There were many great scholars including Montesquieu and Adam Smith who went onto establish the importance of having a strong system of law for property rights for many reasons. According to Justice Jayawardena’s point of view those reasons can be as follows. Lack of effective commercial litigation regarding the economy may result in reluctance of investors to come here as there is no protection for property rights. A corrupt legal system will not quickly enable contracts in the event of a default, so the borrowers will be reluctant to offer their assets as collateral in an unsafe legal system where lenders could take those assets even where there is no default and will discourage trading in the economy because there is a difficulty to recover. If property rights are protected, people undertake to do socially productive productions such as scientific innovations which keep the existence of human being on this planet. Institutions and regulators are necessary to promote capital market and the growth of the economy. High cost to defending contractual and property rights in an ineffective system of commercial litigation will have high expenses for legal advice and court processes and a large amount of productive time is spent over litigation. Expropriation in a volatile system of commercial litigation will cause investors being reluctant to invest in a country where laws, subject to the litigation, are seen as those subject to the change due to political factors. “So improvement of the efficacy of commercial litigation in a country promotes and encourages investments and trade and protects them from expropriation risks” Justice Jayawardena explained. It was said that, countries with less investor protection, measured by the character of their laws and courts and procedures, are smaller and narrower markets, which have less access to external finance. According to Justice Jayawardena, countries with well protected property rights, promote firms reinvest their profits and promote better allocation of their resources, which enables to move faster, hence advancing the overall economic growth. He further explained that using the reforms made to the Pakistan legal system in 2002 at a cost of US $ 350 million, which was then equivalent to 0.1% GDP of Pakistan economy had a dramatic effect on increasing confidence in courts including judicial efficiency. “These reforms soon transferred interestingly to tangible positive economic results in Pakistan increasing GDP by 0.5%, which is five times higher than the budgeted amount”. System of commercial litigation in Sri Lanka comprises laws, regulations and courts system. Our legal system has the common law, Roman Dutch law, English law, and statutes of various laws passed by the parliament. Justice Jayawardena simplified further that Roman Dutch law applies to mortgages, guarantees, suretiships, etc., while English law applies mostly to the other areas of commercial laws such as shipping trade company laws, partnerships, banking, principles of merchants, lands, and life insurances and so on. In addition to that, there are specific statutes which cover specific areas of the commercial law such as Companies Act, Intellectual Property Act, Sale of Goods Ordinance, Insolvency Act, and Arbitration Act and so on. Justice Jayawardena stated that several enactments in this field of law are much older as Sales of Goods Ordinance enacted in 1896, Bill of Exchange Act enacted in 1937 and the Mortgage Act enacted in 1949. He also said that the procedural process of court of law which set out in the Code of Civil Procedure (1889), and the Evidence Ordinance (1895), which governs the production of evidence in court, had been amended often considering the modern requirements. “Despite some laws in those Acts meeting the twenty first century requirements, these Acts are out of date and they caused delays in court proceedings. Such one example is Insolvency Ordinance 1853 which has very little effect in today’s economic environment”, said the Justice. In 1990s, the Commercial High Courts were established in Colombo to entertain and decide cases with regard to commercial disputes. Now there are three commercial high courts in Colombo, which hear cases where the dispute is over five million and arises within Western Province. All other disputes below five million are heard in District Courts. And disputes outside the Western Province over five million are decided in District Courts. He further explained about a report which is taken as measurement of attractiveness regarding a country where investment and trading are considered. That is the “Ease of Doing Business Report”, which is published annually by the World Bank. The 2018 report ranks Sri Lanka in 111th position among 190 countries, while Vietnam is at the 68th, India is at the 100, Thailand at the 26th, Malaysia at the 24th and Singapore at the 2nd. Below us are The Philippines is at the 113th with Pakistan at 147th and Bangladesh at 177th. This report also includes a measurement as to how the “Enforcing of Contractual rights” lasts effectively in a system of commercial litigation in a country. Interestingly, Sri Lanka ranks 165th in the enforcing contracts classification among 190 countries. The report further states, that court proceedings in Sri Lanka take a very long time, about 1300 days (3 1/2 years) to standardise disputes to be resolved. “Whether one likes it or not, the global perception on the commercial litigation in Sri Lanka, is not sufficient”, said Justice Jayawardena. 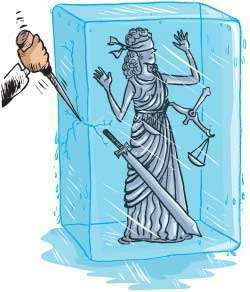 Even though, it requires great attention and care as to what needs to be done, Justice Jayawardena suggested some pragmatic approaches that could be adopted for a better change. Speed up the time taken to initiate an action, and then to have it determined by a court. This will require a careful study of the problems that we may face. And that study has to be accompanied by a study of comparable jurisdictions, which have achieved a reduction in court time. This is one of the higher priorities that our legal system has to consider. Need, start taking steps regarding digitalization and automation of court procedure. It allows cases to be filed electronically through a secured platform, resulting case management system to be established to keep tracking of progresses of cases. Several procedural laws have to be amended to prevent unnecessary delays in pre-trial stages. He also said that a Court should consider more on the substance of a matter rather than on the formalities. Bringing more clarity on jurisdictional provisions of the law by taking necessary steps to amend of unnecessary technical rules. For the importance of increasing resources for judicial training, judges should be given the knowledge on commercial matters to quickly resolve disputes and they should be trained to use technology in proceedings to speed up the proceedings. Ensuring the importance of being corrupt-free by taking actions immediately and imposing punishments against the corrupted Government servants. Finally to improve mediation and alternative disputes resolution methods. In conclusion, Justice Prasanna Jayawardena invited the Law Commission of Sri Lanka and Legal Draftsman Department and other relevant authorities, which are examining these issues, to give a great care and initiate necessary actions without further delay. Brilliant speech by Justice Lord Jayawardana and completely true as to why Sri Lanka has not been receiving projected FDI in the past in addition to other major issues such as poor internal transport facilities and high cost of energy due to non availability of sustainable energy generation.Thank u for publishing such an article .